Pack of 600 Lavazza BLUE Very B MAGNIFICO capsules, compatible with Lavazza BLUE machines. 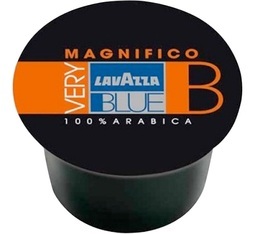 100% Arabica blend from India and Brazil which will seduce espresso connoisseurs. Free delivery!